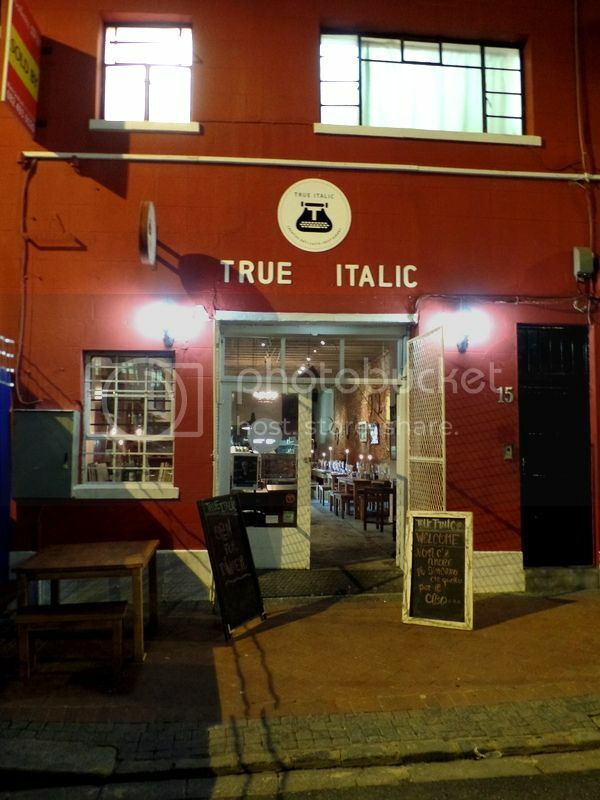 Italic is yet another new addition to Bree Street and I can’t be more excited! I think Bree Street is going to get to the point where you could eat out every night for a month and never eat at the same place! The new addition is a gorgeous little Italian spot right next door to Orinoco! The best part about the arse end of Bree Street? There is always parking right outside the front door! Italic is run by two Italians straight out of Italy. One Italian for the kitchen and one Italian for the front of house. The Italian in the Kitchen makes all his sauces and pastas fresh every single day and the Italian in the front of house is charming and beautiful and makes you feel like she’s offering dinner at her home. 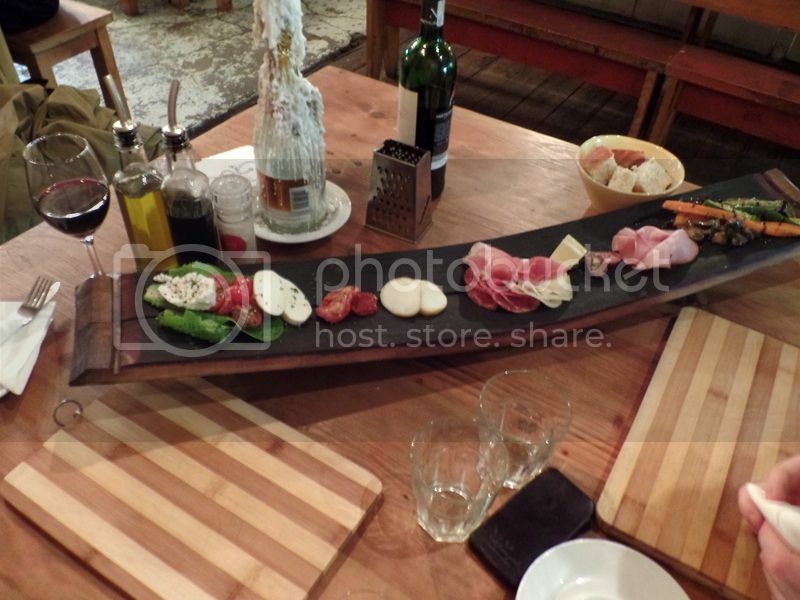 From the first five minutes of being at Italic I knew I loved it already! We loved the incredible fresh and soft mozzarella with the sweet sundried tomatoes on the fresh focaccia. The Scamorza was light and smoked and reminded me of the cheeses we ate in Poland. The Mortadella was lovely and sweet a little like a fine shaved gypsy ham. And the cured veggies were a delicious addition! All the pasta is made from fresh every morning – and it really makes such a difference! It was wonderful to spot the fresh pasta all over their open plan kitchen. 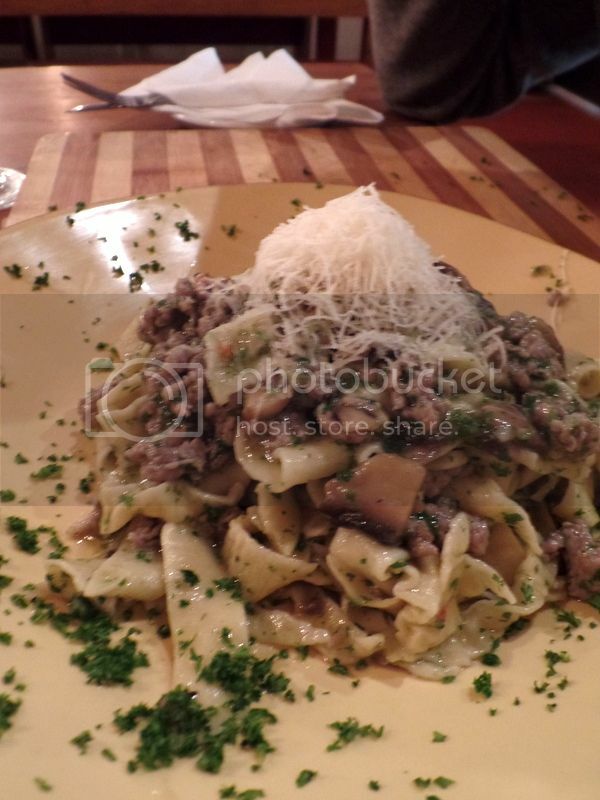 We had the homemade tagliatelle with sausage and mushrooms for R95. The pasta was incredible and cooked perfectly! The mushrooms were wonderfully fresh and packed with flavour. I thought the sausage in the pasta had too much fennel and I found it a little overpowering. But the boyfriend loved it – so it might just be that I’m a little sensitive to fennel. 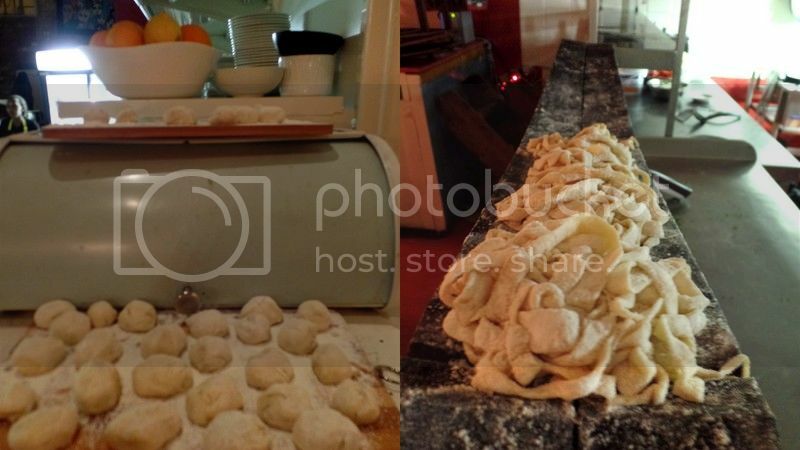 The star of the night was the amazing homemade gnocchi with gorgonzola, pear and cognac for R100. This dish was pure decadence! The gnocci was like soft butter and the sauce was creamy and rich! 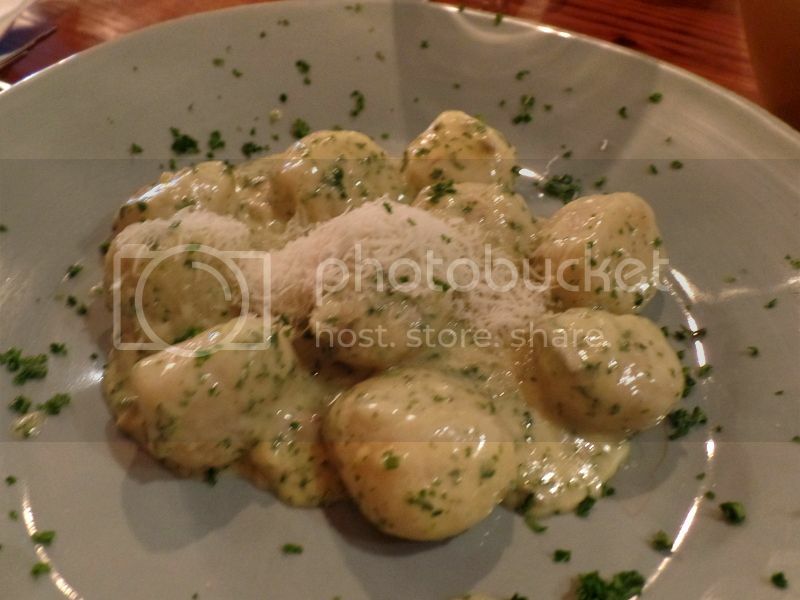 This is without a doubt the very best gnocchi dish I’ve ever had! I will be back very soon for more of this! Dessert was a wonderful twist on an Italian dessert classics! This is the Salame Chocolate served with mascarpone for R40. This was a truly unique dessert and so delicious! The mascarpone dish was made like the mascarpone in tiramisu which was incredibly light and slightly sweet and very creamy. We shared dessert between the two of us and we were bickering like children over the bowl of the mascarpone and scraping every corner to get any run away mascarpone. The Salame chocolate was a little like a decadent fridge cake which was packed with biscuits and held together by dense chocolate – YUM! 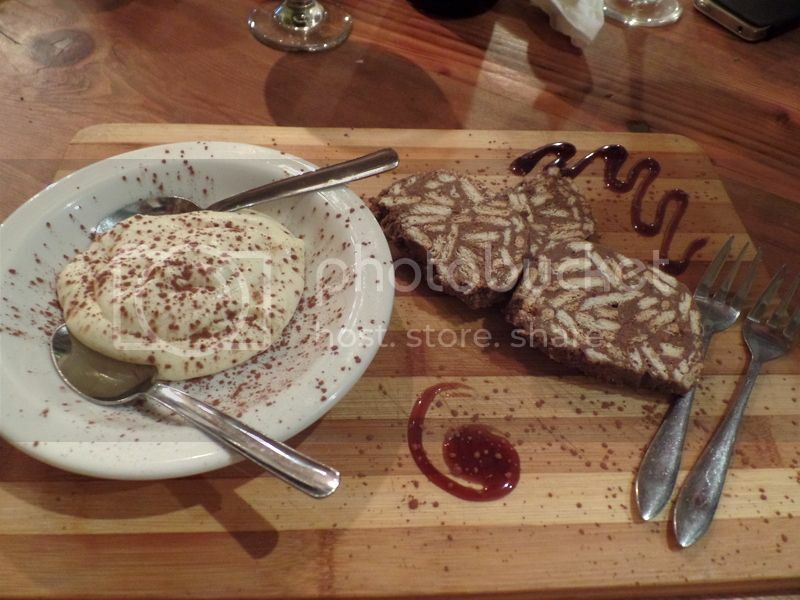 When you have dinner at Italic make sure to save space for this wonderful dessert. Overall we had an incredible truly Italian dinner at Italic. I would highly recommend a visit! It is worth noting that they have a pretty limited wine list and I would suggest bringing your own wine. Opening times: Mon: 7:00-19:00, Tues-Fri: 7:00-22:00, Sat: 18:00-23:00 and closed on Sundays.